If you are looking for BlackBerry unlocking services, then you have most definitely come to the right place. 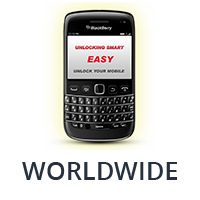 Here at UnlockingSmart we are able to provide you with a BlackBerry unlock code for almost any model of BlackBerry phone. Although many other mobile phone unlocking sites and BlackBerry unlock services out there claim to be able to provide a free BlackBerry unlock code, the best way to unlock BlackBerry phones safely and successfully is to do so by purchasing a genuine unlock code for your mobile phone from a reputable company such as us, at UnlockingSmart. We provide codes that will unlock BlackBerry Bold and unlock BlackBerry Curve models, so there’s no need to worry whichever model of BlackBerry you have. If you’re not sure how to unlock a BlackBerry, we have a team of dedicated professionals on hand to talk you through the process, and explain exactly what it is that we do. We are able to provide services for users of the majority of the UK’s most popular networks. We can also help to unlock some worldwide mobile phone networks. O2, EE, T-Mobile, Orange, Vodafone UK, Three, Tesco, and AT&T are just some of the many networks we work successfully with on a day to day basis with outstanding results. 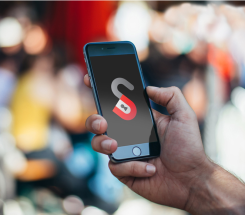 Here at UnlockingSmart we pride ourselves on our ability to deliver exceptional customer services and create memorable, positive experiences for our customers. Whichever model of BlackBerry phone that you use and whatever the network, we are sure to be able to help you. Whether you’re looking for a BlackBerry Curve unlock code or indeed any other model, feel free to contact us today through one of our customer channels. We’re happy to help you with all aspects of unlocking BlackBerry Curve, Bold, Z10 and Q10 models.